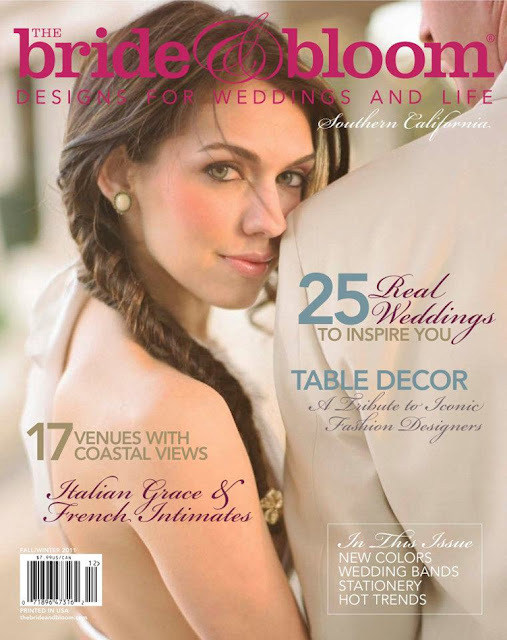 Stephanie Grace Designs was asked to participate in a special tribute to iconic fashion designers in the current issue of Bride & Bloom Magazine (Fall/Winter 2011). The Spread features four unique weddings, each inspired by a couture collection. Stephanie had the pleasure of designing floral arrangements inspired by Chanel's recent collection. The first motif features white stock, dendrobium and phalaenopsis in a silver candelabra. The second includes pink peonies, hydrangeas, tea and spray roses in a silver footed urn.